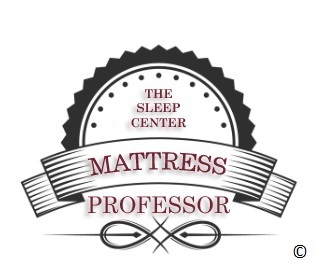 The Sleep Center mattress stores are the South's favorite sleep specialty stores, serving great sleep to customers all over America since 1988! Our goal is to help you find the right products for your sleep needs. We understand that each person has unique preferences and every body shape has specific requirements for optimal sleep. We know that today's sleep products are new to you and quite possibly difficult to relate to, so we take the time to help educate you about today's sleep technologies and why certain materials are used and for what purpose. We also understand how important it is not just to fall asleep but to achieve the bliss of restorative sleep! We believe in pressure-free, professional assistance. Our associates are knowledgeable about our products and available to help you understand the specs of everything we sell. We take pride in presenting clean showrooms that are fully-stocked with the best products! We’ll be tossing and turning until you’re not! So please, visit one of our friendly, neighborhood mattress stores and relax into great sleep tonight! We’re open seven days a week for your convenience. Have a test rest on us and shop the South's favorite sleep specialty store! Our Sleep Superstores are fully stocked with America's Best Bedding Products! Our Sleep Center stores are set up to make shopping for a new bed fun & affordable! We are your Mattress Experts! We are your Futon Headquarters! We are your Adjustable Bed Superstores!